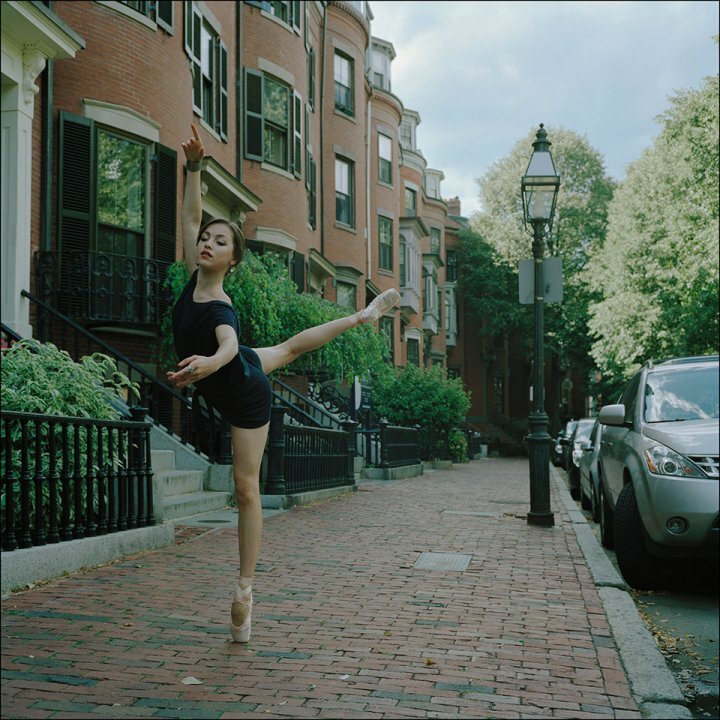 The Ballerina Project showcases photographs of ballerinas posing in everyday locations throughout New York City and Boston. It’s an enthralling mixture of the surreal beauty of ballet and the very different beauty of a historic city. The New York City Ballerina Project grew from the idea of New York City as a magnet for creativity; each photograph is a collaborative work of dance, fashion design and photography played out against the city’s landscape. One of the most striking features of the photographs is the almost complete lack of other people in the background. The dancers pose in apparent isolation, reminiscent of the magical departure from reality that ballet always seems to bring.